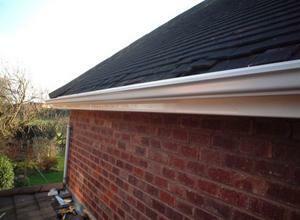 Fascias Soffits & Guttering in Coventry, CV1 3PP. Covering Coventry, Leicester, Birmingham, Tamworth, Northampton and Nottingham and surrounding areas. 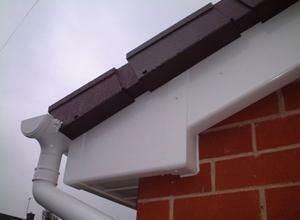 New Look Installations are reliable and trusted leading installers of replacement fascias, soffits, cladding, bargeboards, guttering and downpipes for all domestic customers in the Coventry and Leicester area. 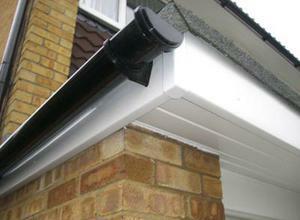 If needed we completely remove all timber and replace affected areas to ensure a high quality, maintenance free fitting. 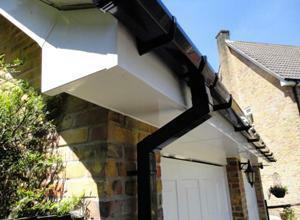 Choosing a company to replace your fascias, soffits, cladding and guttering can be a lottery! New Look Installations fit only the best products that cannot be damaged by sunlight or the freeze/thaw cycle, insects or air pollution. Little maintenance is required, just the occasional wipe clean with a damp cloth soaked in a weak solution of warm, soapy water. 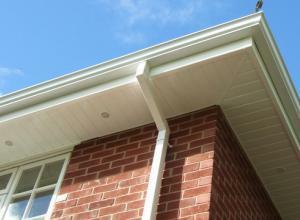 Unlike other companies, we not only install roof line products but have dedicated divisions for each aspect of roof work. We are a family business with over 25 years experience and pride ourselves on the quality of our work, with thousands of satisfied customers attesting to our high standards and new customers coming to us through recommendations and 'word of mouth'. All our products carry a 30 year guarantee and our workmanship a 10 year guarantee for total peace of mind, so maintaining your home has never been easier! 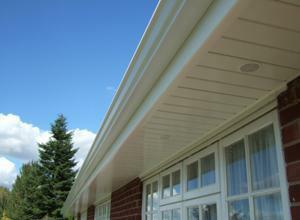 We install FREEFOAM and DECEUNINCK products. Please visit our website for details of these products and further information on how we can help you. We do not use salesmen or high pressure tactics, we only offer outstanding value for money & a service that is second to none! "I put out a request on this site for the repair of my Mums' kitchen roof; New Look Roofing Installations Ltd responded the same day with a solution and a agreeable repair estimate. Tom and his team started work the next day, and even though we had requested that they clean entire roof in addition, they were finished that day. My mother and I found the whole crew genuinely friendly with a good work ethic, I liked that they spoke to the neighbours that may be inconvenienced, bringing them on side. I consider myself lucky that Tom was first to call, was available and would recommend New Look Roofing Installations Ltd to everyone." 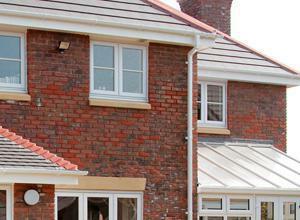 "The work was carried out with good punctuality and at a good price." 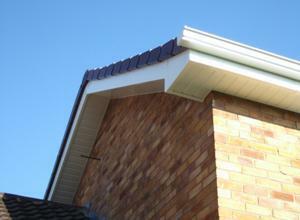 "Very pleased with work done Would recommend. Hope to have more work done in the future .... Johnson Allesley Coventry"